Testing has revealed the presence of Salmonella in one pouch of flour. There have been no reports of any injuries or illnesses associated with this recall. The recalled product comes in a 16-oz. pouch with Best If Used By Dates of 10/25/2018, LOT: CF22017E, and 12/04/2018, LOT: CF22017E which can be found on the back of the pouch near the bottom of the panel. The UPC is 0 71012 10702 5. It was sold through retailers and distributors nationwide. Customers who purchased the recalled products should not consume it, but discard it or return it to the place of purchase for credit or refund. 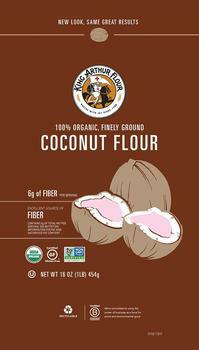 Consumers with questions regarding this recall may call the King Arthur Flour consumer hotline at 866-797-9178.